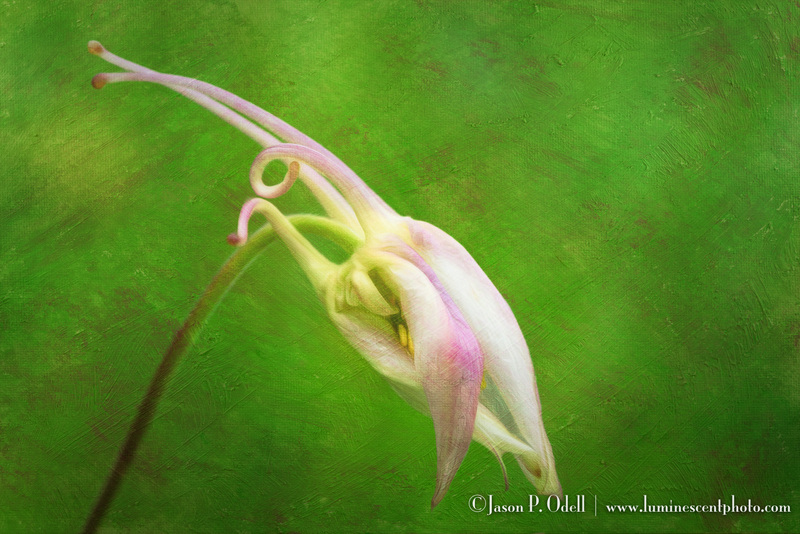 Columbine flower with Luminescent Painterly overlay. I’m pleased to announce a new set of texture overlays for photographers and graphic artists! My new Luminescent Painterly™ texture pack contains twenty unique hand-painted designs, optimized for high-resolution images. Each image is 6000 x 4800 pixels and is compatible with any pixel editing software that supports layers and layer blending. 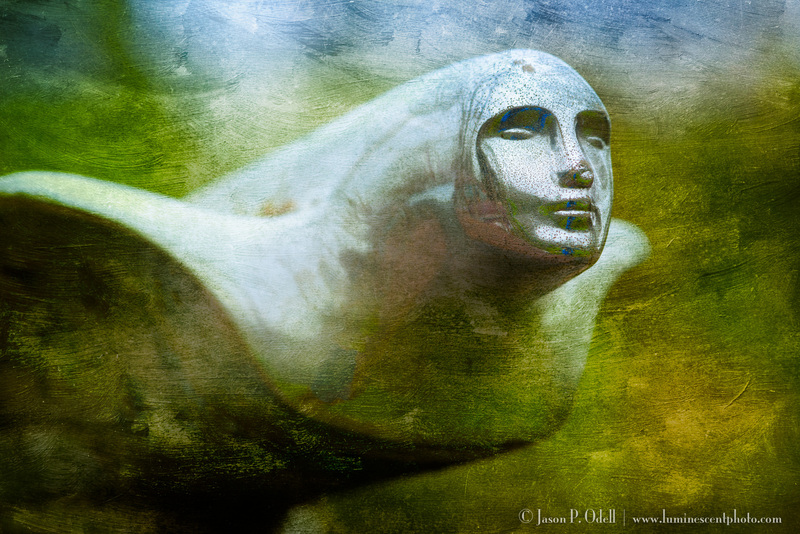 Want to learn how to add these textures to your photos? View my free webinar replay. 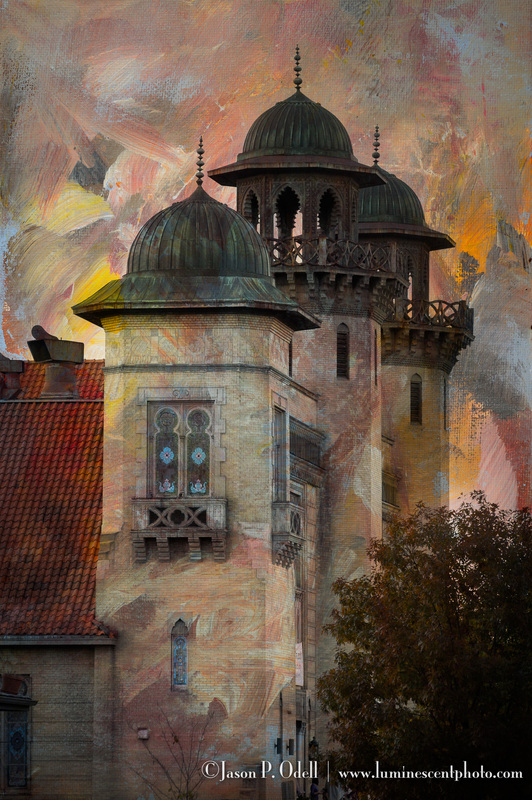 I captured this image way back in 2011… and today I gave it a new look by adding multiple layers of my new Authentic Paint™ Textures. 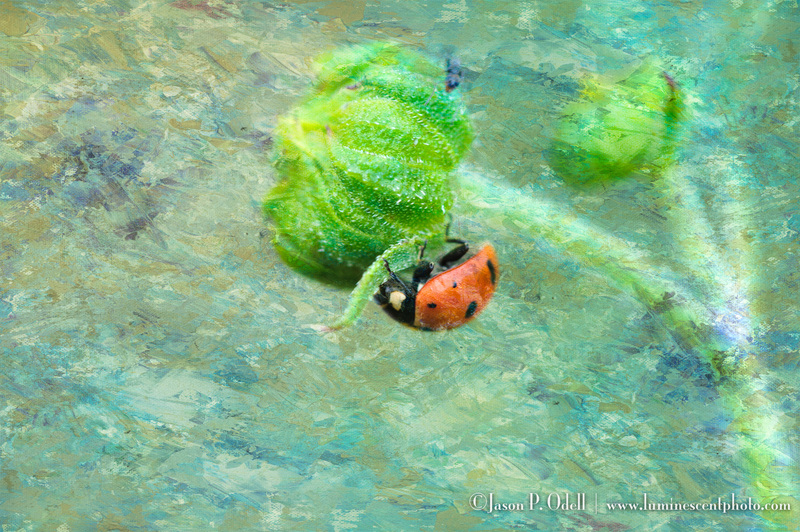 I like the impressionistic look that I was able to achieve. I’m finishing up my spring workshop to Old Car City USA, and we had an amazing time. You really need to spend at least two days here in order to satisfy your photographic appetite. This hood ornament from a 1950’s vintage Cadillac really stood out to me. I applied textures to it to create a more unique final effect. The theme I’m stressing with my clients is that a photograph is something that you make, not just take. Nikon D810 with 105mm f/2.8 AFS G VR Micro-Nikkor, Gitzo 2-series tripod with RRS BH-55 ball head. See my upcoming photo tours and workshops here.